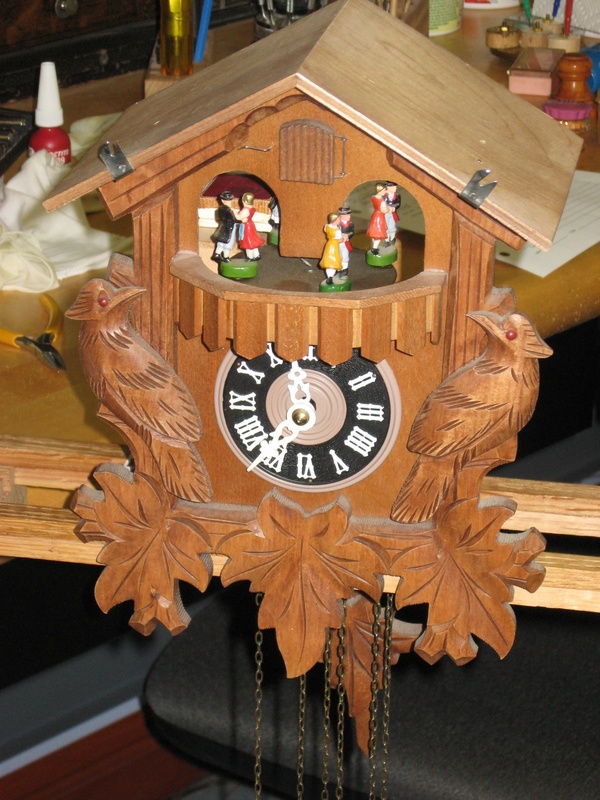 Here is a German one-day musical cuckoo clock from about the 1960s. It ran and cuckooed and the music played fine. But the clock would stop once per hour, always with the minute hand pointing to 9 on the dial. When I moved the minute hand forward, I could feel it turn hard when moving it past 9. I removed the movement and found that the plastic cannon pinion had a crack. I’ve seen this particular movement many times. 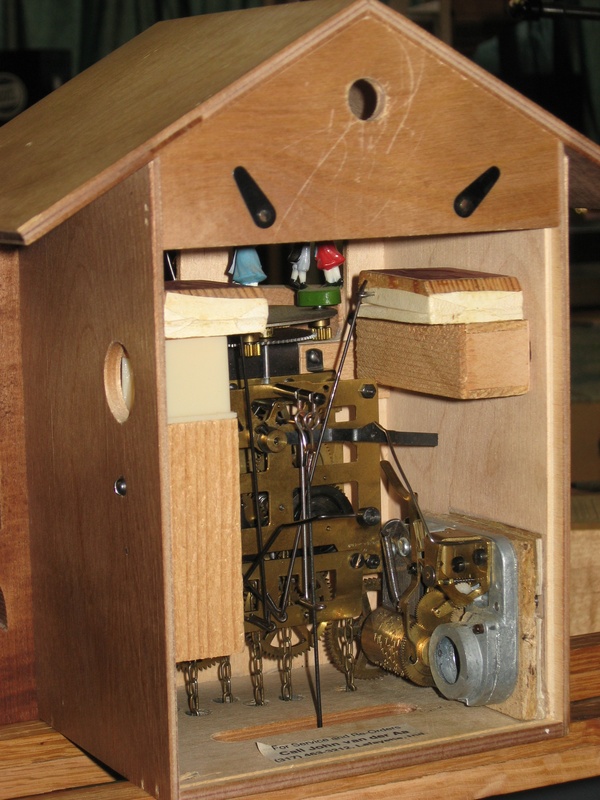 Some have a normal brass cannon pinion, but some have a plastic one. 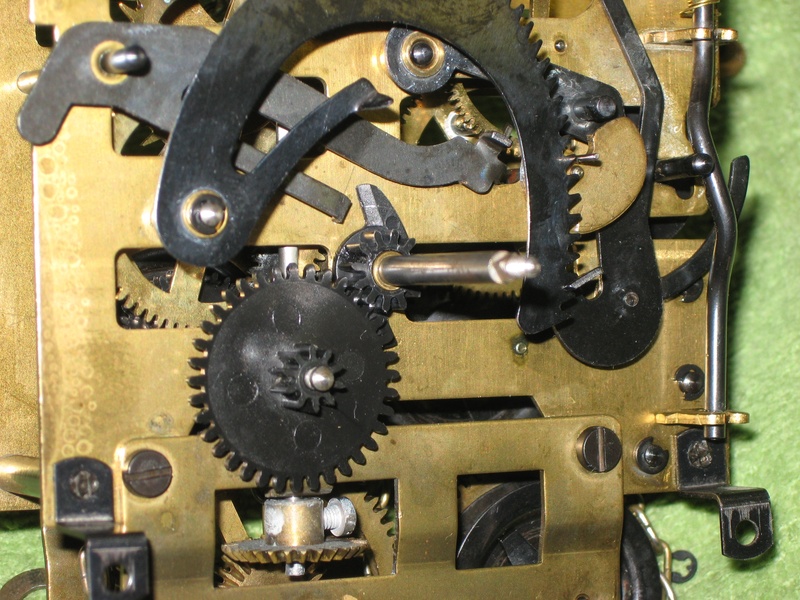 The cannon pinion is the black plastic gear in the center (with the two lifting arms). 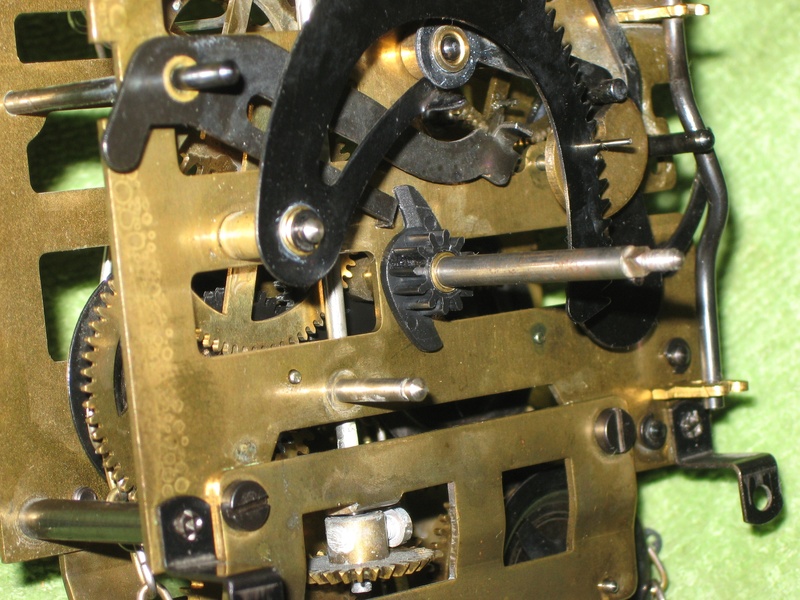 The minute wheel is the gear to the left of the cannon pinion. Glue the crack with Gorilla® Super Glue and close the crack by clamping the pinion. Clamp it overnight. File out the center of the pinion until it is an almost free fit on the metal spline on the center arbor. Secure the pinion to the arbor with Gorilla® Super Glue. The cannon pinion doesn’t have to deliver much torque, so I expect this repair to last. It split because it was driven tightly onto a metal spline.